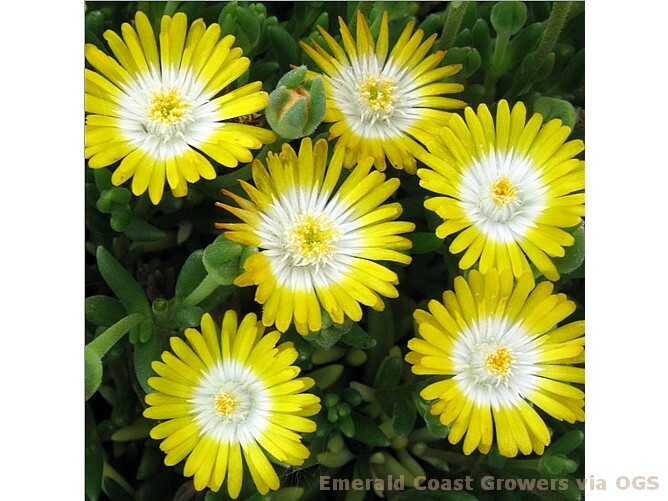 Product Information : Long blooming, mat-forming succulent. Petals are cheerful sunny yellow with a white inner halo surrounding a yellow center. Needs good drainage in full sun. Mature Size : 4" x 10"